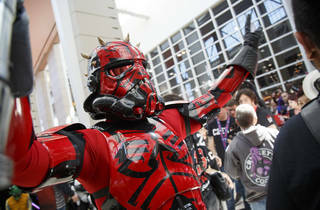 The force is with Chicago—or at least with its convention facilities. Today, Lucasfilm announced that the latest edition of the Star Wars Celebration convention will be coming to McCormick Place from April 11 to 15, 2019. The official fan gathering becomes the center of the Star Wars universe, hosting conversations with directors, actors and creatives involved with the making of the film franchise. The convention is also the place where trailers for the latest Star Wars movies are often debuted—the Chicago Celebration will take place eight months before Star Wars: Episode IX opens in theaters, which means that attendees will likely get a sneak peek. The last Star Wars Celebration took place in Orlando, Florida in 2017, attracting more than 70,000 fans in addition to franchise stars such as Harrison Ford and Mark Hamill. 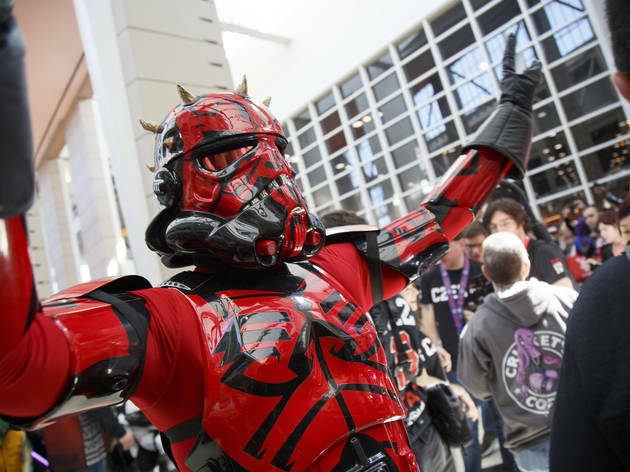 The biennial event is organized by ReedPop, which also puts together the annual Chicago Comic and Entertainment Expo (C2E2) at McCormick Place; next year's edition of C2E2 will take place March 29–31, 2019, just two weeks before the Star Wars Celebration. According to the Star Wars Celebration website, tickets to the event will go on sale on Tuesday, June 5 at noon CST. Pricing information has not been revealed yet, but single-day tickets to the 2017 event ranged from $65 to $85 and four-day passes were $150–$170. Star Wars fans from all around the world will be trying to get their hands on tickets, so you'll want to lock yours down quickly if you plan on attending. We've got a very good feeling about the Star Wars universe coming to our city, but if you need something to pass the time between now and next April, check out some of Chicago's best conventions.